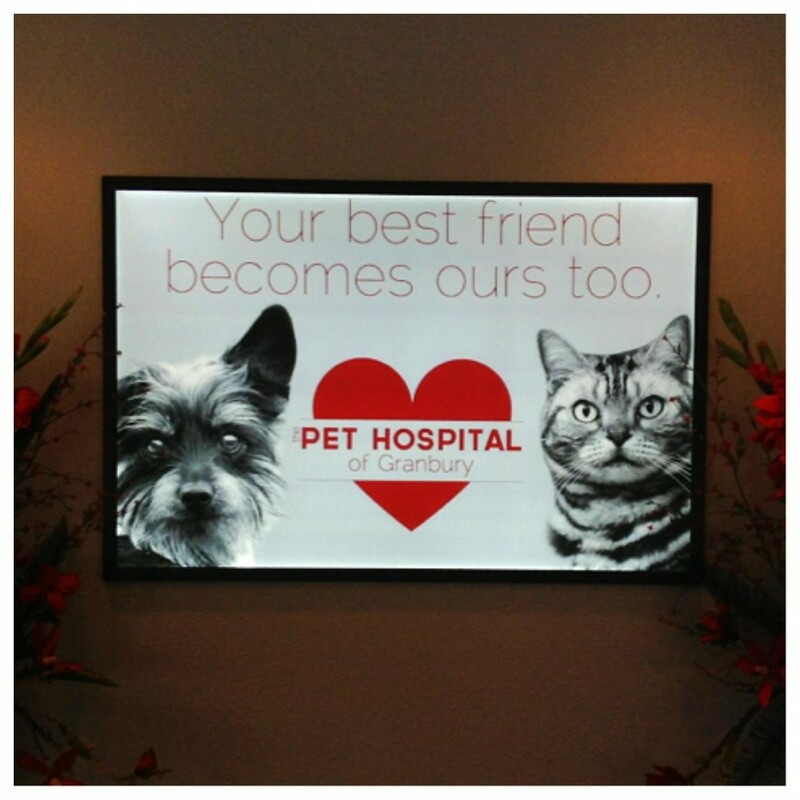 Here’s something different, an LED sign we did for The Pet Hospital. The art is printed on 10mil transparency plastic in full color. It makes a beautiful solution for signage that you can change out.